Skunk teaches that you don’t need to overpower others when your sense of self is intact. By learning to assert yourself without ego you will find that respect will come easily and that you will attract like minded people. Your reputation is your energy flow, a form of communication that you are showing others all of the time. 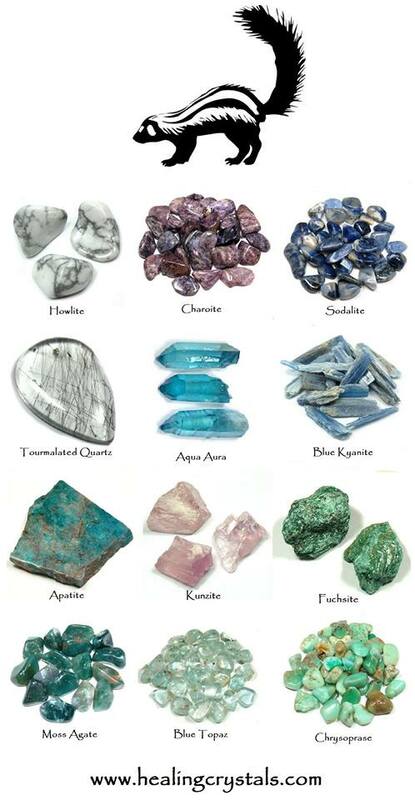 Aqua Aura is said to be able to aid in communicating from the heart, allowing one to recognize and speak their highest truths.